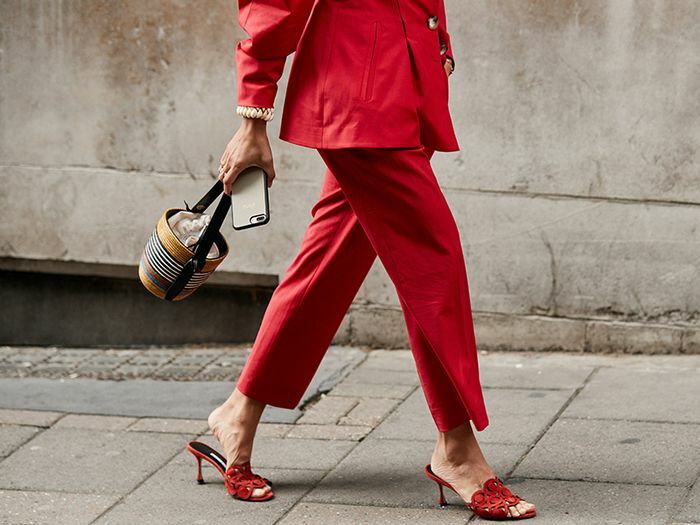 If you've read anything about autumn/winter 2018 trends, you'll know that it's all about one thing: red. 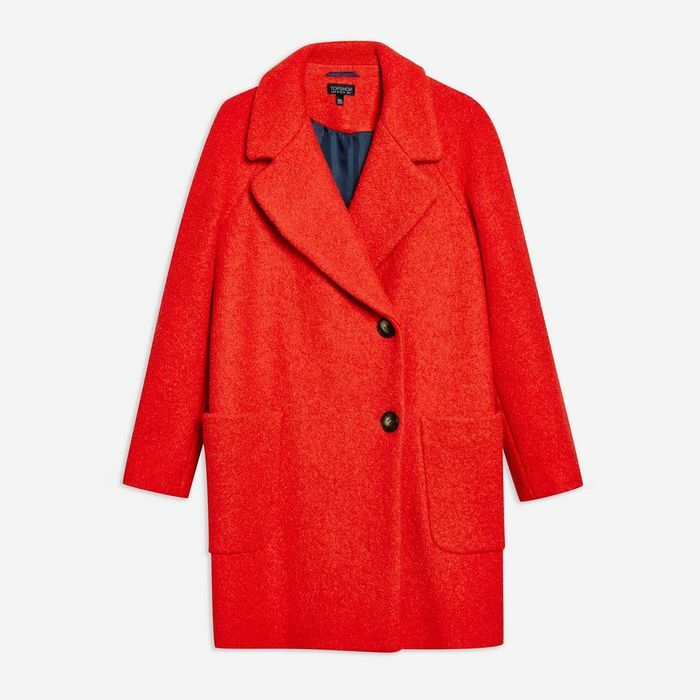 This colour was all over the runways, so obviously the likes of Zara and & Other Stories are already on it, encouraging us to dress like a tomato (fashionably, of course). According to Pinterest, since January, this colour has seen a staggering 500% increase in searches. When it comes to the key buys, it's all about statement pieces like ankle boots. But this isn't the only red item about to take off—bright coats are set to be one of the biggest trends of the year. 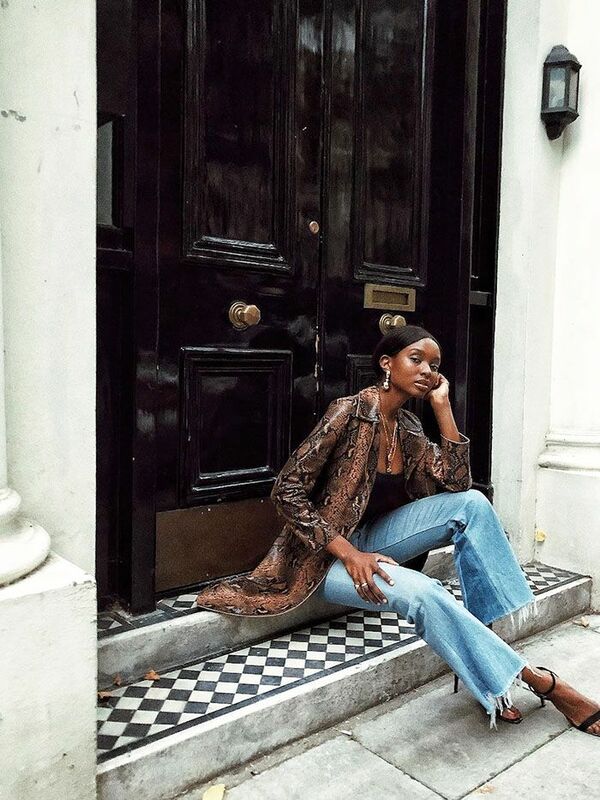 From Topshop's bouclé beauty to Balenciaga's oversized shearling number, we've found styles that tick off every red-coat box. Keep scrolling to shop our edit of the best red coats to buy now. This perfect-fit oversized number also comes in must-have mustard, FYI. Red and pink is the perfect combo. The belt tie adds all the detail you need. Go tonal and mix this with other shades of red. Update your classic car coat to one in a red tartan print. Say yes to gown coats. This is available in sizes 6 to 24, so it's guaranteed to suit everyone. You'll wear this for the rest of your life. Like a duvet, but acceptable enough to wear outside. Move over, beige trench—we're backing red this year. The shorter length makes it perfect for petite frames. Add a roll-neck jumper underneath this collarless style. Next up, more of autumn/winter 2018's best winter coats.